Tickets are not available any more on California Cup International Field Hockey Tournament. You may be able to buy tickets at the venue if available. Best Parking for Cal Cup 2019. Pull in & park, no waiting in line! 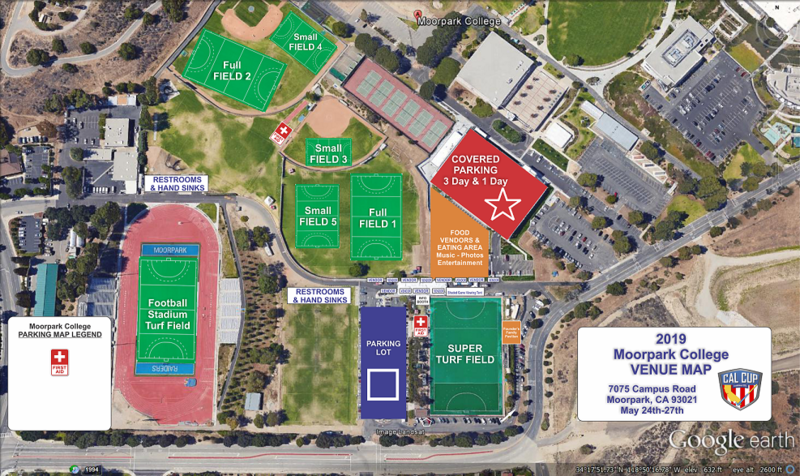 This pass entitles you to park one car for the entire Cal Cup 2019 event, no waiting in line, outsidem next to vendor area and Super Turf. Once your purchase is made online, you will receive a confirmation email along with an electronic version of your pass "eTicket". Print the copy of your "eTicket and present to the Parking Attendant at the Cal Cup venue.